USC Rossier School of Education graduates Grant Burlew '10 and Tensie Taylor '14 both received degrees in Postsecondary Administration and Student Affairs (PASA). The ME PASA program prepares students for professional roles in higher education administration and student affairs. Graduates work in various sectors of postsecondary education, including academic advising, athletic administration, student recruitment and residential life. Photo by Meiko Takechi Arquillos. The USC Rossier School of Education is one of the world's premier centers for the study of urban education. The school is committed to preparing teachers, researchers, counselors, administrators and curricular specialists for leadership positions. The mission of the USC Rossier School of Education is to improve learning in urban education locally, nationally and globally. Urban areas often face challenges associated with equity and access, poverty, density, mobility and immigration, environmental degradation and strained social conditions around housing, health care and crime. Urban education takes place in many contexts including pre-kindergarten through high school, human services, higher education and workplace settings. Leading the search for innovative, efficacious and just solutions by engaging in collaborative translational research. Preparing and developing educational leaders who are change agents committed to urban education and who possess the competencies needed to address complex educational and social issues. Creating mutually beneficial partnerships to ensure our work is field-based and incorporates a diversity of perspectives and experiences. Our vision is a world where every student, regardless of personal circumstance, is able to learn and succeed. We believe that USC Rossier, as a top-tier research institution, has the responsibility and the ability to train the education leaders and to develop the innovative practices inclusive of equity and access that will help realize this vision. The Rossier School of Education is committed to our four academic themes of leadership, diversity, learning and accountability that guide all academic, research and service efforts within our school. The Rossier School of Education offers the following degree programs: Master of Arts, Teaching; Master of Arts, Teaching: Teaching English to Speakers of Other Languages; Master of Education, Teacher Leadership; Master of Education, Educational Counseling; Master of Education, Learning Design and Technology; Master of Education, Postsecondary Administration and Student Affairs; Master of Education, School Counseling; Master of Education, School Leadership; Master of Marriage and Family Therapy; Doctor of Education/Master of Business Administration (EdD/MBA); Doctor of Education (EdD); Organizational Change and Leadership (EdD); Global Executive (EdD); and Doctor of Philosophy (PhD) in Urban Education Policy. The Rossier School of Education also offers minors in Education and Society and Teaching English to Speakers of Other Languages (TESOL). Applicants for admission to graduate degree programs must have a bachelor's degree or its equivalent from an accredited institution. Admission to graduate programs in the Rossier School of Education is highly selective and competitive. A grade point average of 3.0 (A = 4.0) is usually expected as well as satisfactory scores on the Graduate Record Examinations (GRE) General Test and three letters of recommendation. Specific testing and recommendation requirements vary by program. For specific information on admission and application procedures, contact the Office of Admission and Recruitment, (213) 740-0224. Students must maintain a grade point average of 3.0 (A = 4.0) or better to stay in good academic standing. Consistent with USC's overall policies for graduate students, factors other than satisfactory grades may also be taken into consideration in decisions regarding a student's continuation in a graduate degree program. These factors include satisfactory performance in fieldwork or credentialing requirements, or meeting program-defined professional standards, which are communicated to students at the beginning of the program. Students who do not earn or maintain a 3.0 (A = 4.0) grade point average in an academic term will be given an academic warning in the following term. Students may also be given an academic warning if they are have not fulfilled non-GPA related requirements, as defined by their degree program. The academic warning provides notification that the student is subject to dismissal. A student who is not in good academic standing is subject to dismissal, and may be dismissed from a program whenever, in the judgment of the associate dean for academic programs and the program director of the program in question, it is unlikely that the student will successfully complete his or her program. The time limit for completing a master's degree is five years. The time limit for completing a doctoral degree is eight years. For students who earned an applicable master's degree within five years prior to admission to the doctorate, the time limit for completion is six years. The time limit begins with the first course at USC applied toward a specified degree and ends the semester during which all requirements are met. A primary consideration of the setting of time limits is the currency of the course work and research with respect to the date the degree is to be conferred. Equally important is the concern that the faculty members serving as advisers or committee members be available to the student for the duration of graduate studies at USC. Occasionally a student finds it impossible to comply with prescribed time limits for completion of a degree. If a significant delay is likely to occur, the student must make arrangements in advance by petitioning for an extension of time. Such petitions will be considered when there is clear justification based on sound academic or critical personal reasons. An academic department may grant an extension of up to one year at a time for a maximum of two years. The Rossier School of Education offers the Doctor of Philosophy in Urban Education Policy (PhD) and the Doctor of Education (EdD). 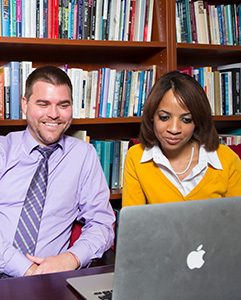 Both doctoral programs place strong emphasis on the acquisition of inquiry skills and on the collaborative and interdisciplinary study of issues mutually engaging to both students and the Rossier School of Education faculty members. Both degrees emphasize the acquisition of appropriate research and inquiry skills, but the application of these skills is expected to differ. The EdD student is trained to use educational inquiry skills to solve contemporary educational problems, while the PhD student is trained to contribute to the general and theoretical knowledge about educational issues. The EdD is administered by the Rossier School of Education; the PhD is administered by the Graduate School. PhD students must also consult The Graduate School section of this catalogue for regulations and requirements pertaining to the degree. A credential is a license issued by the California Commission on Teacher Credentialing (CCTC) to persons wishing to legally teach or perform certain other professional services in California's public schools. USC is one of several institutions authorized to recommend qualified persons to the CCTC for receipt of credentials. There are two categories of credentials offered in the Rossier School: teaching and service. Requirements for these credentials may be obtained by calling the appropriate phone number listed below. Credential requirements may change due to state law. Students are advised to consult periodically with the Rossier School of Education for current credential requirements. California has a two-tier credential structure. A five-year preliminary credential is the first credential issued after an individual meets basic credential requirements. A clear credential is issued when all credential requirements have been completed. Multiple Subject Teaching (MST) authorizes the holder to teach in a self-contained classroom such as the classrooms in most elementary schools. A teacher authorized for multiple subject instruction may be assigned to teach in any self-contained classroom (preschool, grades K–12 or many subjects within a self-contained classroom). This classroom situation is generally found in preschool and elementary grades or in classes organized primarily for adults. In addition, the holder of a Multiple Subject Teaching Credential may serve in a core or team teaching setting. Single Subject Teaching (SST) authorizes the holder to teach a specific subject(s) named on the credential in departmentalized classes such as those in most middle schools academic area. This classroom situation is generally found in middle and senior high schools. A teacher authorized for single subject instruction may be assigned to teach any subject on his or her authorized fields at any grade level: preschool, grades K–12 or in classes organized primarily for adults. All teacher candidates must meet the following requirements in order to be recommended/endorsed for a teaching credential: successful evidence of completion and passing of the TPA (Teaching Performance Assessment) and verification of training in cardiopulmonary resuscitation (CPR) that covers infant, child and adult CPR skills. Accredited in Indiana by the Indiana Commission on Proprietary Education (CPE). The University of Southern California is registered as a private institution with the Minnesota Office of Higher Education pursuant to sections 136A.61 to 136A.71. Registration is not an endorsement of the institution. Registration does not mean that credits earned at the institution can be transferred to all other institutions. University of Southern California is authorized by the Washington Student Achievement Council and meets the requirements and minimum educational standards established for degree-granting institutions under the Degree-Granting Institutions Act. This authorization is subject to periodic review and authorizes University of Southern California to offer specific degree programs. The Council may be contacted for a list of currently authorized programs. Authorization by the Council does not carry with it an endorsement by the Council of institution or its programs. Any person desiring information about the requirements of the act or the applicability of those requirements to the institution may contact the Council at P.O. Box 43430, Olympia, WA 98504-3430. Prospective Washington state students are advised to contact the Office of the Superintendent of Public Instruction at (360) 725-6320 or profed@k12.wa.us to determine whether this education program is approved for teacher certification or endorsements in Washington state. In addition, teachers are advised to contact their individual school district as to whether this program may qualify for salary advancement. USC is approved by the Missouri Coordinating Board for Higher Education to deliver its online program to residents. USC is authorized by the Tennessee Higher Education Commission. This authorization must be renewed each year and is based on an evaluation by minimum standards concerning quality of education, ethical business practices, health and safety, and fiscal responsibility. If a complaint is not settled at the institutional level, the student may contact the Tennessee Higher Education Commission, Nashville, TN 37243-0830, (615) 741-5293. If the institution uses a mediation clause in its enrollment agreement, the catalogue must describe the steps required of the student and/or the institution to initiate the mediation process. For inquiries, contact the MAT@USC office at (213) 743-2127. The Administrative Services Credential authorizes the holder to provide a variety of services in grades 12 and below, including preschool, and in classes organized primarily for adults. USC recommends candidates for the Clear Preliminary Administrative Services Credential. A prerequisite for admission to this program is admission to the EdD program. For inquiries, contact the EdD Program Office, (213) 740-9323. Develop, plan, implement and evaluate a school counseling and guidance program that includes academic, career, personal and social development. Advocate for the high academic achievement and social development of all students. Provide schoolwide prevention and intervention strategies and counseling services. Provide consultation, training and staff development to teachers and parents regarding students' needs. Supervise a district-approved advisory program as described in California Education Code, Section 40600. For inquiries, contact the Master's Program Office, (213) 740-3255. The Office of Professional Development offers a variety of non-degree and certificate programs for the professional educator. Certificate programs are offered in blended formats and include: Professional Preparation for Reading, Differentiated Curriculum for Gifted and High-Ability Learners, Differentiating the Common Core State Standards, School Business Management, Induction for New Teachers, Preliminary Administrative Credential and an Equity Educators Certificate. Professional Development also offers the in-person, two-day Summer Gifted Institute and Teacher Demonstration School intended for teachers, administrators and academic coaches of gifted and high-ability learners. New areas to be introduced will include Early Childhood, Individualized Learning Experiences for Educators and Side-by-Side, a course for children and their families. The Office for Professional Development provides fully custom programs as well as customized versions of its open enrollment programs. Some key areas of expertise include adult learning; teaching and learning with technology; differentiated curriculum; school district leadership development; and data-driven decision-making. The office also offers programs for international student teachers, faculty and administrators, K-12 classroom teachers, and teacher educator scholars seeking immersion in an American education environment. For further information, contact the Office of Professional Development at (213) 740-8536.